5-Piece Classic Chef’s Essential Knife Set carefully selected to meet all chopping, slicing and dicing needs, this knife set is an incredible value! Razor-sharp professional blades have been forged from a single piece of high carbon steel to provide precision cutting. Triple-riveted wooden handles ensure a strong, comfortable grip that is perfectly balanced for unrivalled maneuverability. Comprised of a 10” carving knife, 9” bread knife, 8” chef’s knife, 5” utility knife and a 3.5” paring knife. 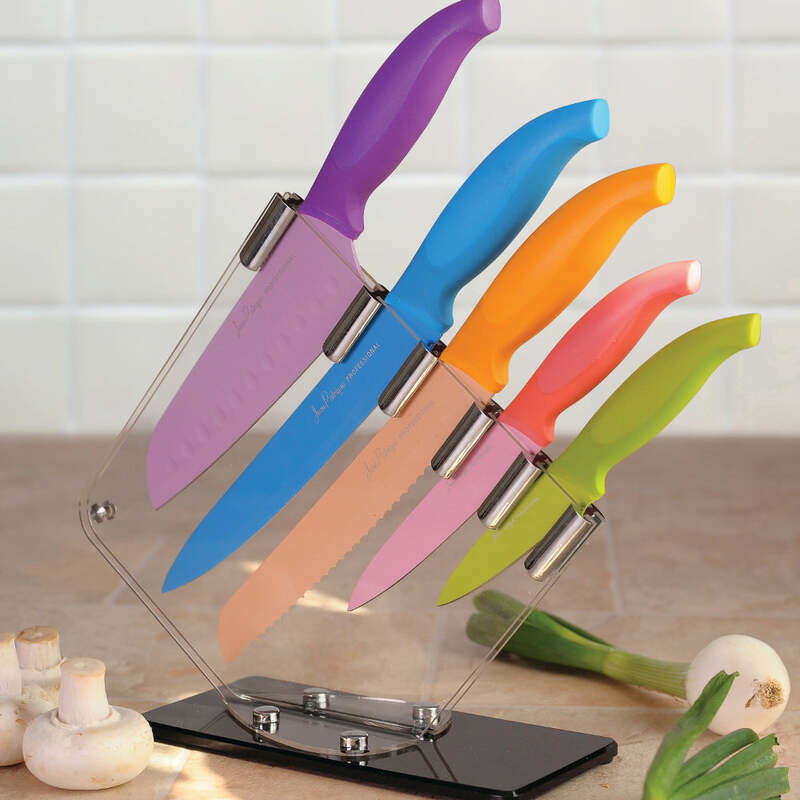 PERFECT KITCHEN KNIFE SET – Our designers invested bountiful time and effort into developing this wonderful knife set. 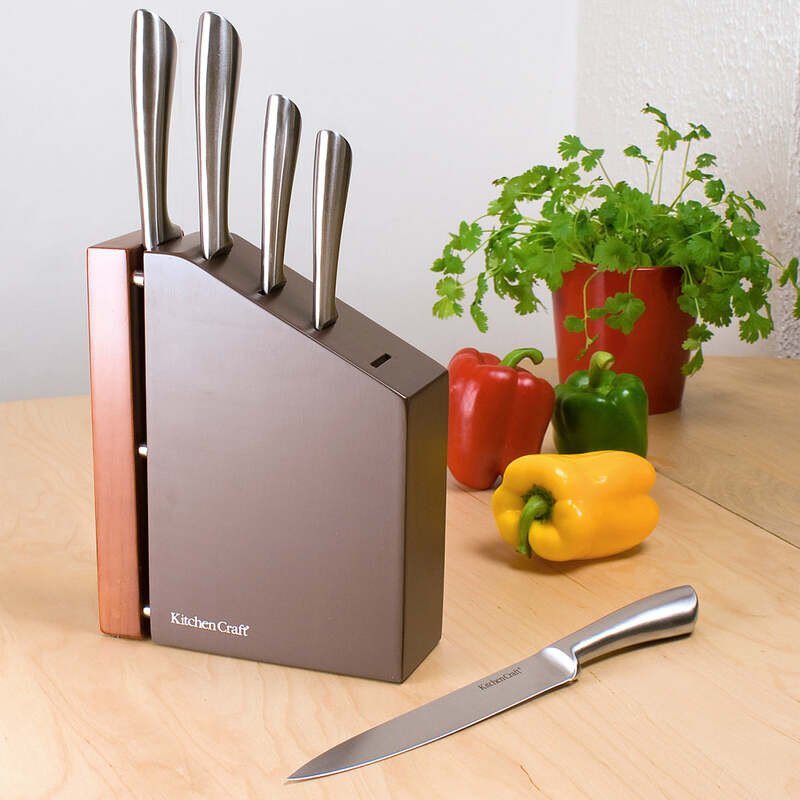 Includes the 5 essential kitchen knives, all designed to be as ergonomically and aesthetically pleasing as possible and constructed from high carbon quality steel. SINGLE FORGED – Blade forged continuously in a single piece for strength and precision cutting. 5 ESSENTIAL KNIVES – There is a knife for everything in this set. The set includes a 10” carving knife, a 9” bread knife, an 8” chef’s knife, a 5” utility knife and a 3.5” paring knife.